And she has a great tutorial that you can see over at Katie's Nesting Spot. 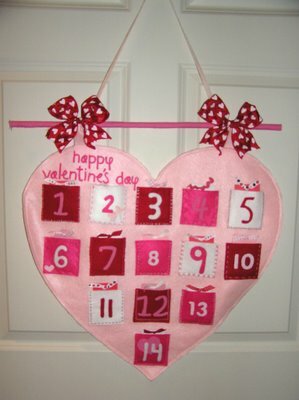 If you have been looking for a cute way to celebrate Valentine's Day all February long, this is a good way to start! And you have just enough time to pull it together before February gets here!